With 30 years on site, U store has more than 35,000sq ft of storage space in either 20ft or 40ft containers. 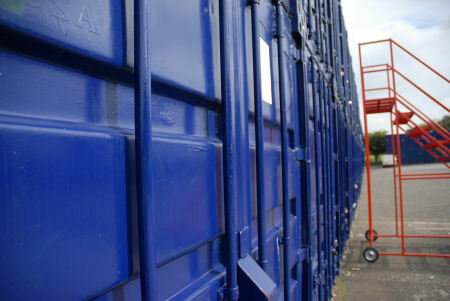 All containers have undergone a special insulating system to ensure condensation free storage. We pride ourselves on making sure that doing business with us is extremely easy. Once we have allocated a container for you, we ask for payment of the first month, you fill your container, put on your padlock and then come and go at your leisure. We are available 24 hours a day 7 days a week. Our site covers more than 7 acres and we are constantly adding more units. If you have any questions at all, why not give us a call or drop us an email.